Beautiful Exciting Vintage Round Scandinavian Verner Panton Polka Dot Rug , Country of Origin / Rug Type: Scandinavia Rug, Circa Date: Mid – 20th Century – Add a touch of retro modern whimsy to any space with this vintage round rug. The concepts of late Danish designer Verner Panton were meant to break conformity with imagination, and this vibrant and simple Scandinavian rug does just that, bringing excitement and scene of child like innocence to any room’s interior design. A happy array of kaleidoscopic polka dot patterns pop against the plush black background. 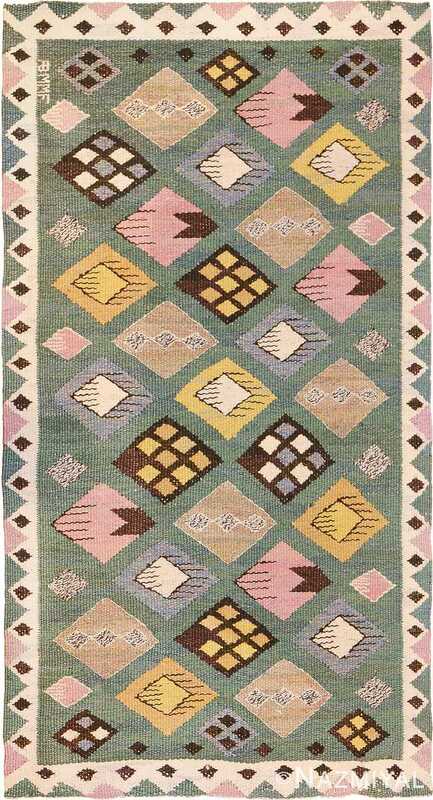 This juxtaposition evokes a jewel toned rainbow of color from the sunny yellow center, outwards to the dark edges of this vintage carpet. 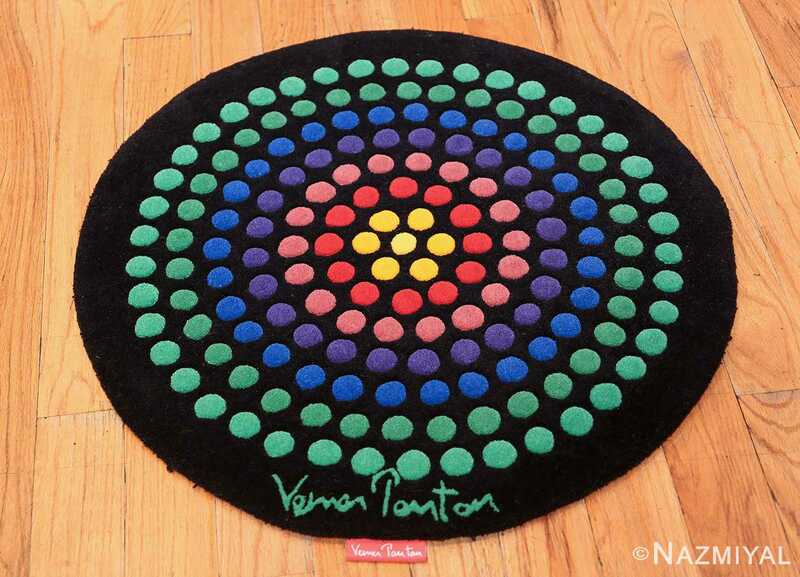 Here Verner Panton creates a clever pop art rug design. 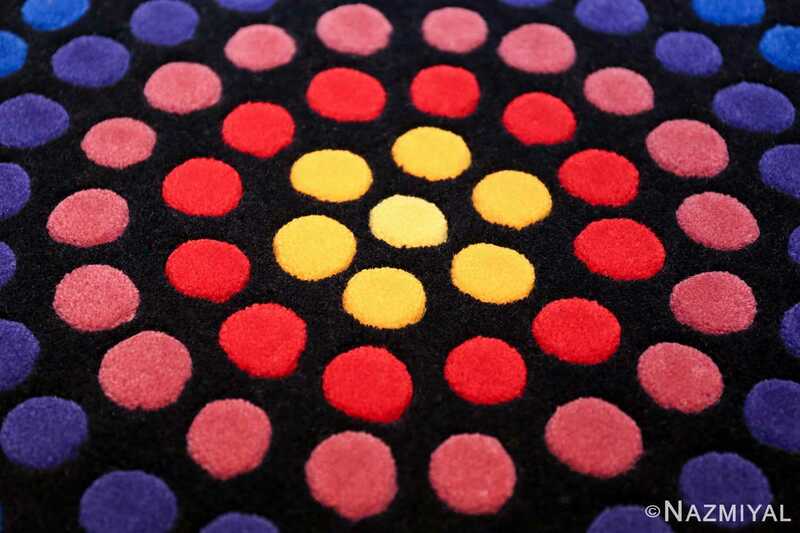 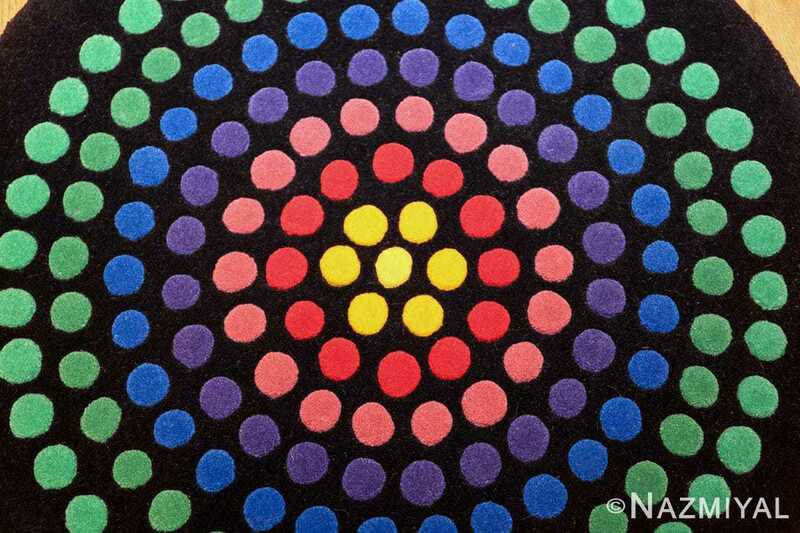 This beautiful Verner Panton polka dot rug is comprised of eight bands of perfectly imperfect circles. 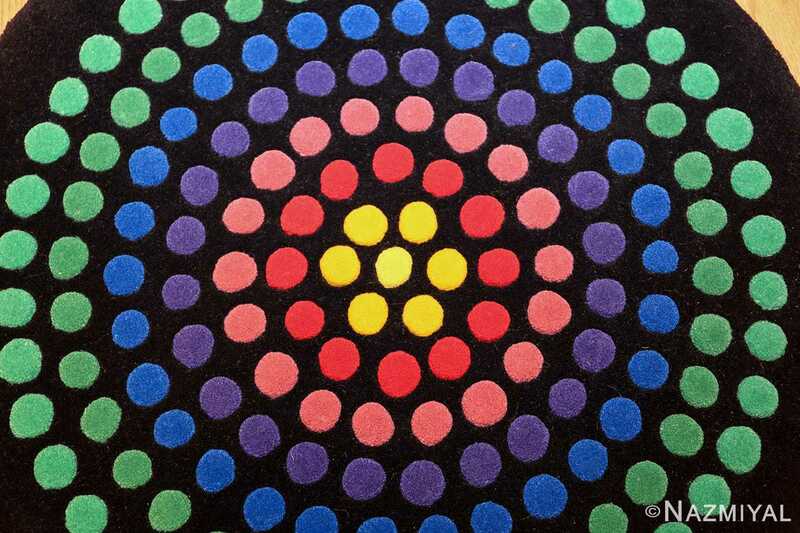 This circles wind around one another layer by layer, gradually changing color from a center of seven joyfully yellow circles. 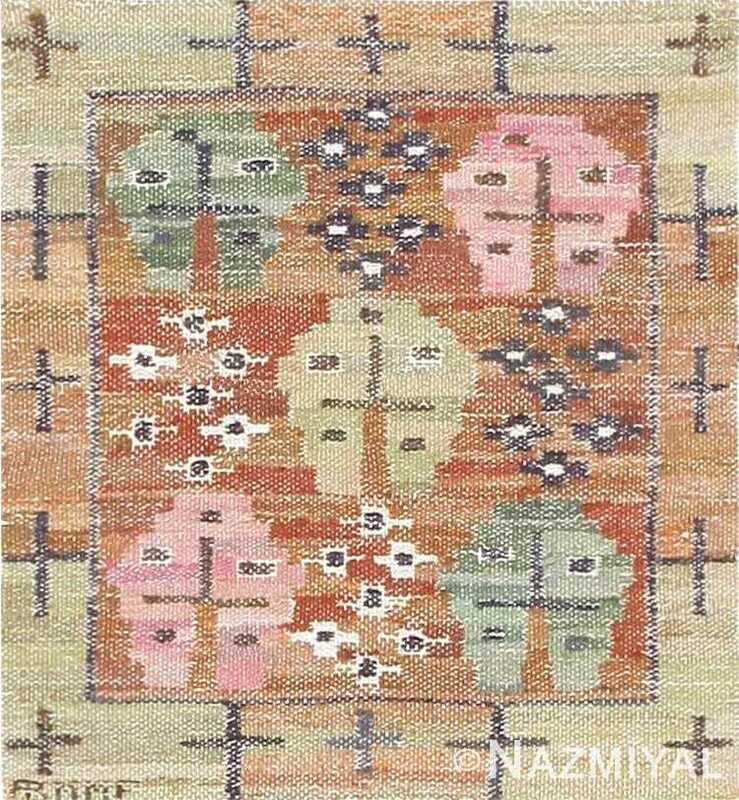 In distinction from the yellow it transitions to a lively ruby in the next band, then to a flat and modern shade of pink, followed by a majestic shade of purple that leads into a vibrant sapphire blue. 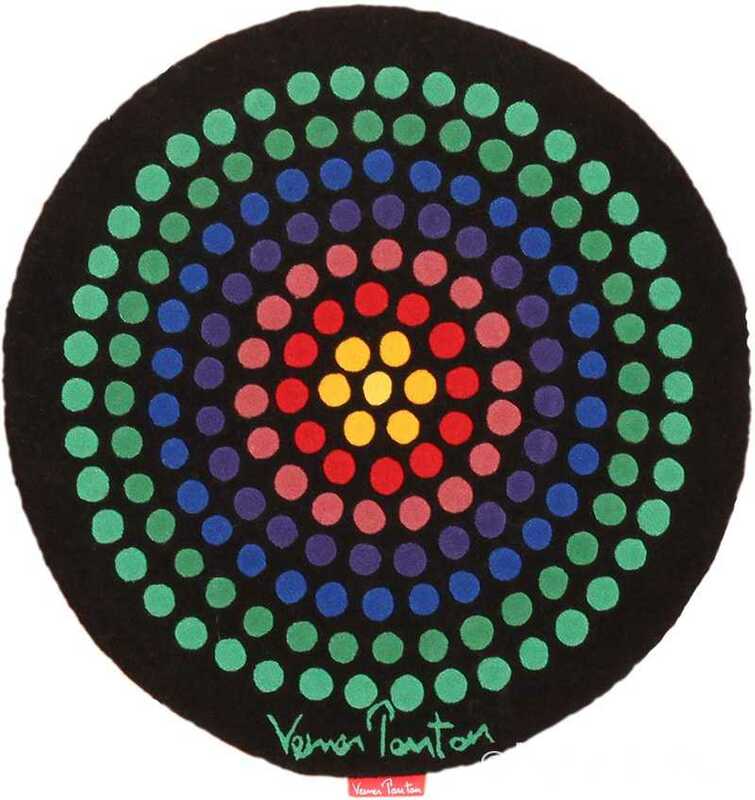 The pattern within this magnificently exciting Verner Panton polka dot rug ends with two consecutive rings of celadon green circles, one just a shade lighter than the other. 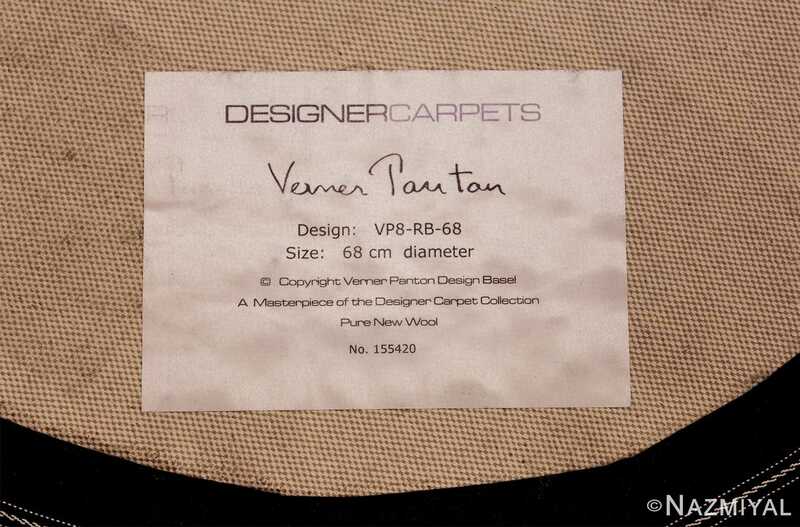 As charming Verner Panton textile art as it is bold, this small area rug will bring life to any eclectic space. 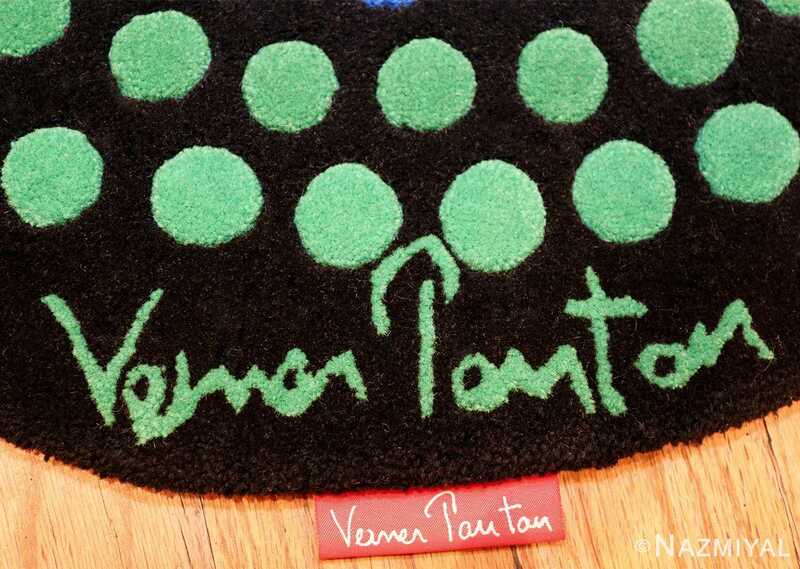 Panton’s signature is affixed at the base of this truly remarkable Verner Panton polka dot rug in the same tone of green as the outer bands of circles. 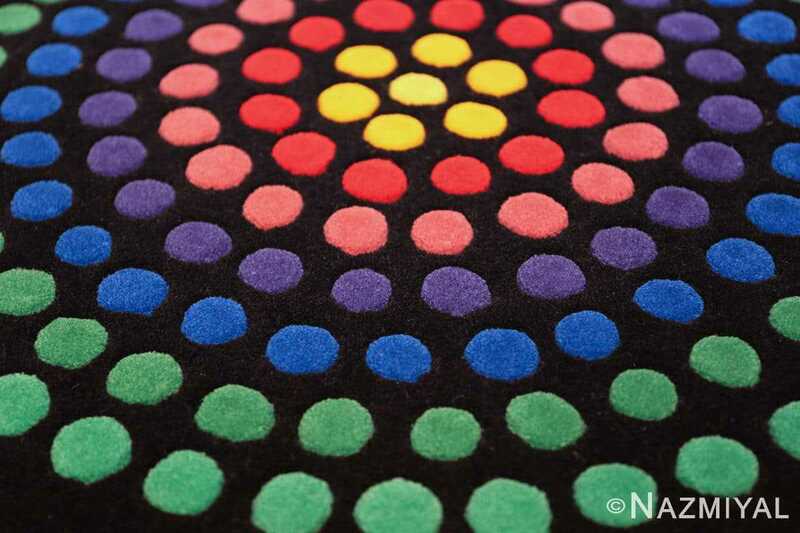 This aspect of the design helps to highlight just how exceptional this prismatic piece really is. 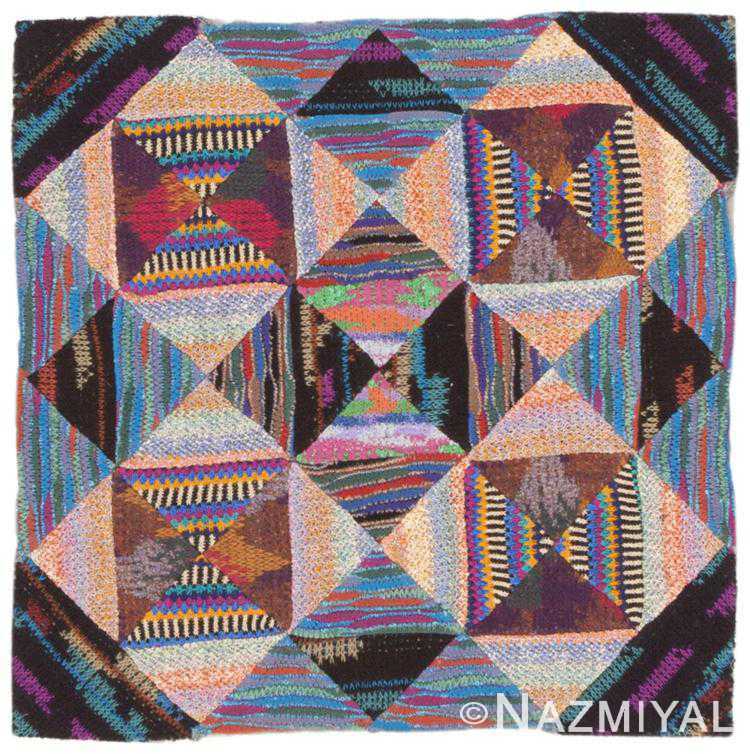 Without a doubt, it is the kind of piece that is sure to garner much love an appreciation. 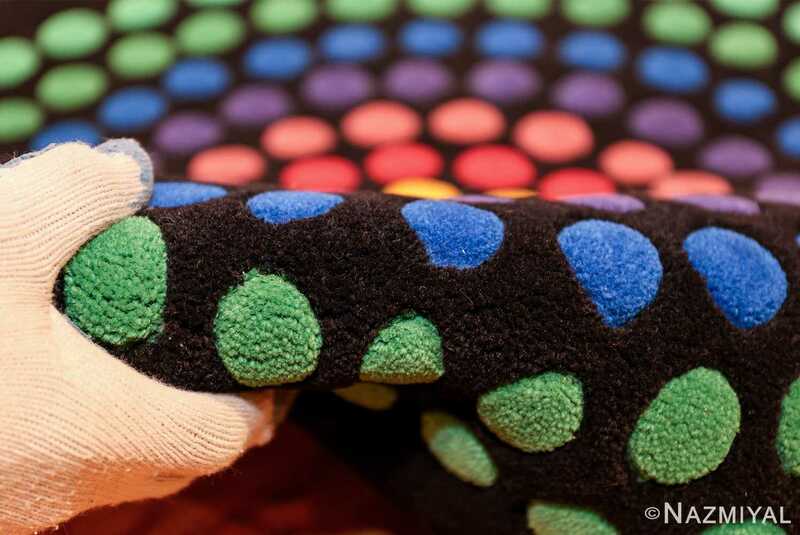 This delightful vintage patchwork collage depicts a beautiful assemblage of distinctive variegated patterns and striped knits crafted by the legendary Missoni design house.